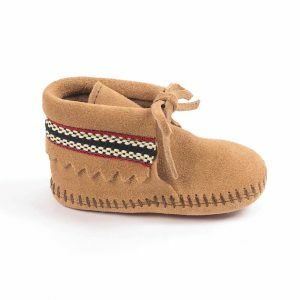 Kids get the latest addition to the iconic Thunderbird family too. Soft suede and a cotton lace ensures classic stay-put style as they slip on and go. 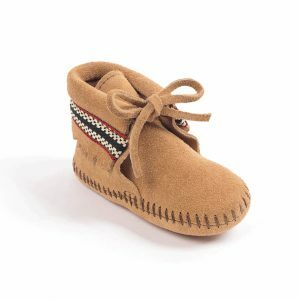 Traditional moccasin stitching frames the iconic hand-beaded Thunderbird design to give classic vintage flair while the cushioned rubber sole provides grip and easy comfort. 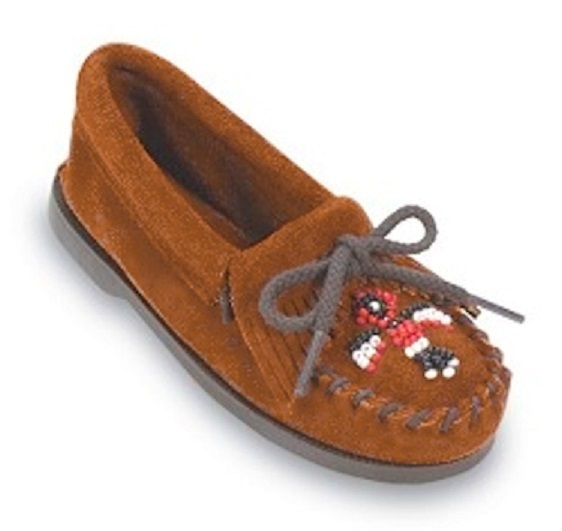 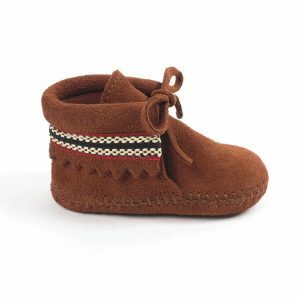 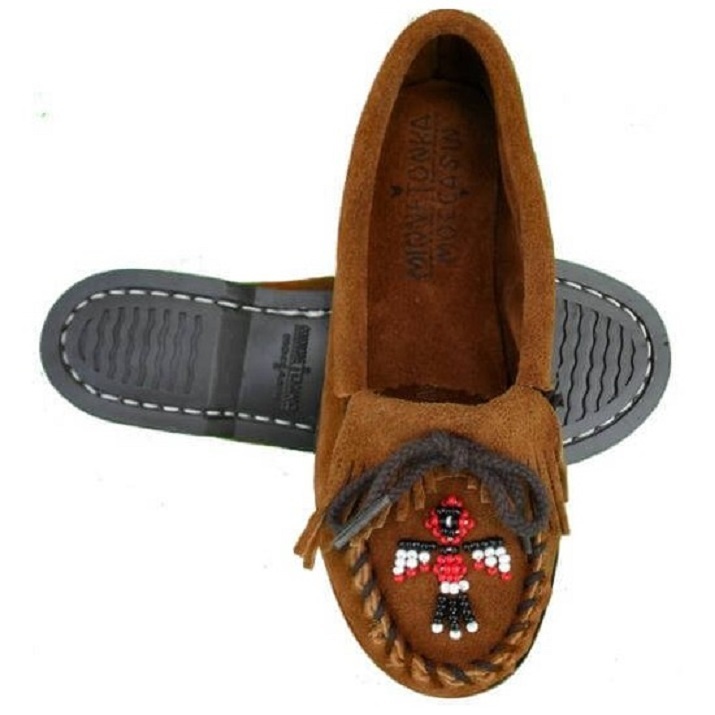 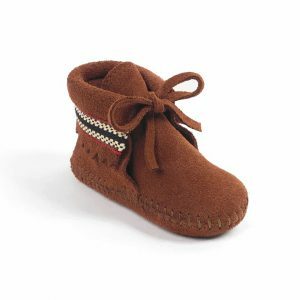 These time-honored kids moccasins will be their go-to favorite for a long time.